Immediately visible before Trump were objects from the crisis on the border. 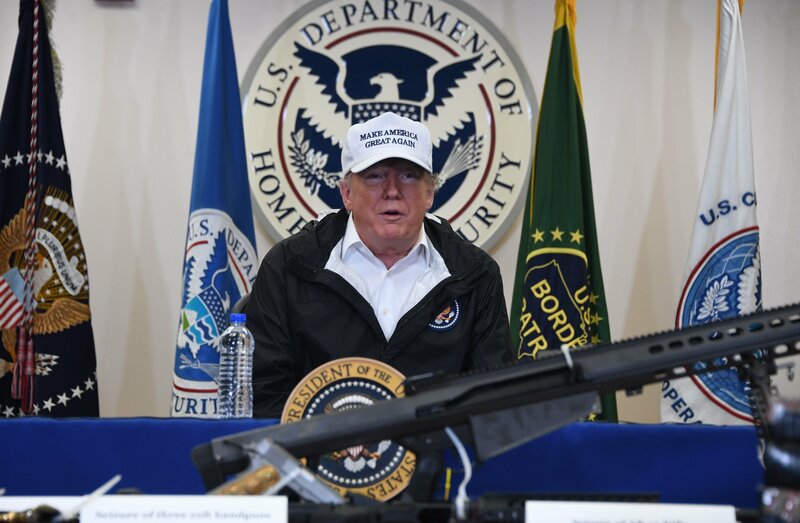 According to the White House Pool report, the props include an “AR-15 rifle, colt handguns, a plastic bag full of cash, and black-taped bricks of heroin and meth.” The items represent dangerous and illicit items that Border Patrol agents have seized while defending the border. Reggie gave powerful comments during the roundtable about his brother. Speaking of the murder of his brother, Reggie said, “Whatever it takes to minimize, put a stop to it, my family fully supports it. ← Democrats Funded a 287 Mile Wall in Jordan – LAST YEAR! But Won’t Fund Border Wall in US!